Jon Engen will be remembered at the 2019 Boulder Mountain Tour as the 46th annual cross country race will be held in his honor. A three-time Olympian and avid outdoorsman, Engen died of pancreatic cancer on April 26, 2018 at the age of 61, but not before he left an indelible mark on his family, friends and the sport of cross-country skiing. With a keen intellect, competitive drive and a physical engine that was both refined and dynamic, Jon would have been right at home rubbing shoulders with the denizens of Mount Olympus. It is hard to say if that focus was born of nature or nurture, and perhaps it was a function of both. Born in Norway on March 9, 1957, Jon was raised an only child in Raelingen. True to the culture, Jon joined a small sports club as a four-year-old and learned how to ski and ski jump like his father, Rein. Athletic success soon followed. “As a very young boy, Jon would win or place in long races which is kind of an anomaly in the sport. Most people don’t reach peak in endurance until they’ve been a senior for 10 years,” Jennings said. Much like classic skis trued to the tracks, Jon’s early life followed a well-charted path: junior championships, national success, a year of mandatory military service, engineering studies at the University of Oslo, but it was during a routine visit to the dentist that Jon’s life diverged from the Norwegian norm. The early days. Photos courtesy of Stu Jennings. Joining the MSU cross country team as a 22-year-old freshman in the fall of 1979, he immediately met and became lifelong friends with Robertson and Jennings, although it was apparent to both while they have been on the same squad, Jon was no ordinary man. As an engineer, Jon was economical with his time, thoughts and words. Stuart recalled one day after practice that Jon was unable to attend. The culprit was a roommate from Bergen named Knut, who had stuffed his socks between the stovepipe and the roof one too many times until his woolly insulation ignited the roof and Jon’s sense of dignity. “Jon had a lot of national pride and felt embarrassed for his country that Knut had done this thing that didn’t reflect well on Norwegians,” Jennings said with a laugh. That doesn’t mean Jon was without a sense of humor – although, according to some – his was so dry it could have been served with a couple of olives. “Sometimes people didn’t realize he was joking with them but I thought his sense of humor was hysterical. He had a unique insight into and understanding of human nature,” Darlene observed. Jon continued to wedge his training in when he could – despite a full-time job as an engineer – and as a newly-minted American kept his eyes on his goal to represent his adopted country at the Olympics. According to Robertson, Jon shoehorned training in on nights and weekends – often roller skiing in the dark – while working 40 hours a week in Billings. His initial goal was to make the Olympic Biathlon Team, but when things didn’t pan out at the windy trials, Jon set his sights on a new goal, the Olympic Cross Country Team. Jennings fleshed out their Olympic odyssey. Bill Spencer was also on the bubble in Biwabik, Minnesota, and credits Jon with getting him over the top and on the Olympic team. 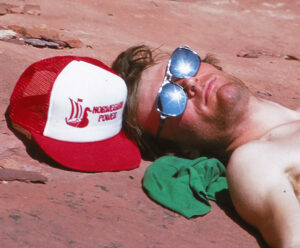 “It came down to a 50k skate race for a few of us. I had a couple classic races where I didn’t do well. I had seriously overtrained and knew that my only chance to make the team was to do well in this one race. Right out of the gate, I just wasn’t feeling good and my splits were not that great. Jon had started three minutes behind me on a pretty hilly course. About 5k in he comes chugging up the course and caught me. I hooked in behind him and he towed me for the next 45k. I went from 15th to third and Jon won quite handily,” Spencer said. “He was very proud to make the team,” Jennings remarked. “I think the number of people working 40 hours a week who make the Olympics is next to zero,” Robertson stated. 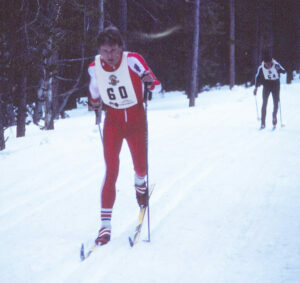 Jon’s best finish at the 1988 Winter Games in Calgary was 51st in a 30k mass start. 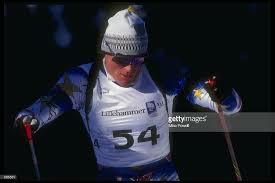 He redirected his training to biathlon, noting, ‘I’m a better shooter than cross country skier’ and competed in the 1992 Olympics in Albertville, France, and the 1994 Olympics in his native Norway at Lillehammer. His best individual finish was a 64th in a 20k in his native country, despite being one of the oldest competitors on the team at 37. 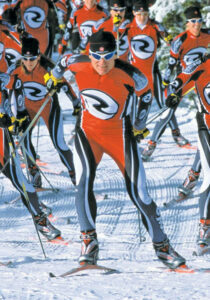 “Skiing was in his blood. It is what he knew,” Darlene said. With every quality it took to be a world-class athlete, and several top-20 finishes in World Cup races in both sports, Jennings believes the one thing that prevented Jon from being the best in the world came from a lack of financial support given to nordic and biathlon athletes. 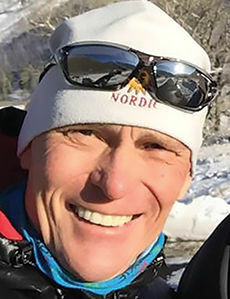 Despite the inherent challenges, Jon’s love of sport never waned and he went on to race on the international and national master’s level capturing more than 20 World Cup Master’s medals with 12 gold, including two golds in the 24th Masters World Cup Nordic Championships in 2004 at Lillehammer. 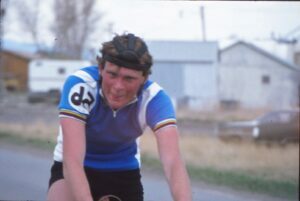 A lifelong Rossignol team member, Jon’s athletic prowess was remembered by former Rossignol USA Nordic race director Jim Fredericks in remarks to the Idaho Mountain Express newspaper. The ability to extend admiration in the form of a compliment served Jon well when crossed paths and fate with Darlene Young at the Boulder Mountain Tour. Robertson recalled that Jon also shared his feelings about Darlene with him, displaying his understated humor that belied a deeper seriousness. Jon moved to Sun Valley in 2002, and the pair married in 2006. “Darlene was the love of his life,” Jennings said. “(He was) Superman in mind and body,” Darlene said. In addition to his love of snowsports, Jon was equally acclimated to the other seasons and a devotee of cycling, trail running, hiking, and hunting with his dog, Bamse. Dedicated to giving back to a sport that had given so much to him, Jon founded the Sun Valley Masters Nordic Ski program, was a valued instructor for Sun Valley Company for 15 years, a coach for Team Rossignol and led trips to the World Masters Championships among a myriad of other endeavors, and was inducted into the Sun Valley Ski Hall of Fame in 2014. Jon also served as a board member for the U.S. Ski and Snowboard Association, and chaired USSA’s Cross-Country Sport Committee from 2006-2014. 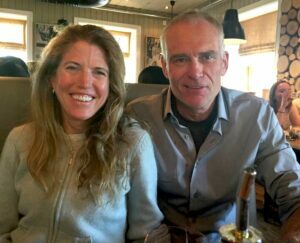 In both roles, Jon brought his expertise as an athlete, coach and industry representative to spur the growth of U.S. skiing and is regarded as one of the committee’s most impactful leaders. 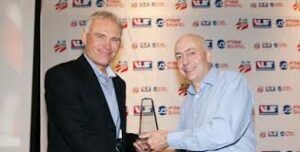 He received a Special Recognition Award from USSA at the end of his term. In August of 2017, cancer knocked on Jon’s door. Jon, Darlene, family and friends were stunned. Jennings added that Jon developed a regimen, similar to his secret training program in college, that be believed would help him beat cancer, “I need to focus on the program,” Jon would say, while sending visitors out of his hospital room. That belief in self. The unyielding will remained with Jon until it was clear cancer was a foe that would not be vanquished. What remained untouched was his heart, mind and spirit, everything that was inherent and instructive to who he was and what he did. “He said that life was too precious to give up and never gave up hope that he could beat it. I think everyone thought if anyone could do it, he could. His passing stunned many as we all believed with him,” Darlene said, adding, “Jon believed in me better than I believed in myself. I think he had that effect on many. He was a coach, mentor and supporter of so many. Earlier this summer, Darlene accepted the prestigious Al Merrill Nordic Award on Jon’s behalf. The honor is given to the individual (or group) involved with any aspect of Nordic skiing who demonstrates an exceptional level of commitment, leadership and devotion to excellence. An unparalleled ambassador of the sport, Engen’s love of cross country skiing was only exceeded by his regard for his fellow man. Fiercely intelligent, dedicated, and determined were characteristics equaled by a relentless passion for life, the outdoors and athletic pursuits. It is in his honor and these traits he shared so generously with others, the Boulder Mountain Tour is proud to host the 2019 race in Jon’s indelible memory.